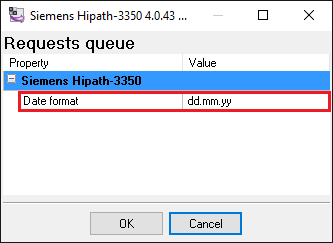 This information is applicable for Siemens Hipath 3000, Siemens Hipath 3350, Siemens Hipath 3500 and Siemens Hipath 3750. Default parameters for serial communication: 9600-8-N-1 with hardware flow control. Configure your PBX using the programming software, like HiPath 3000 Manager. 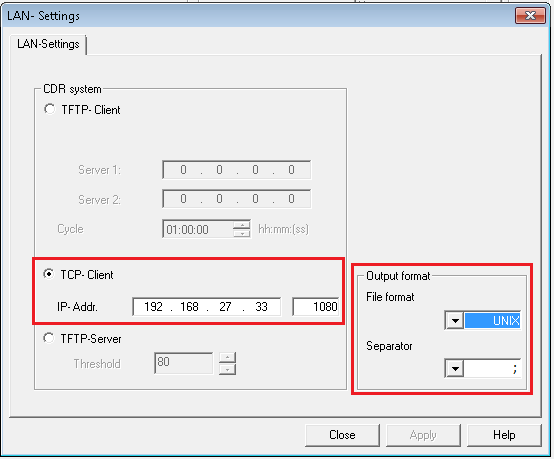 Configure our software to the TCP server mode (fig. 4). 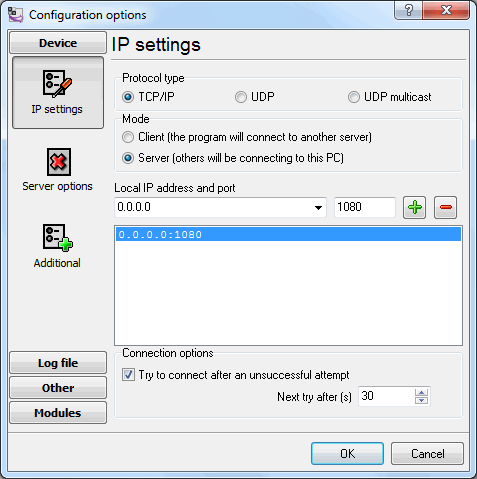 Please, note that you should specify the same IP address and port as in the LAN settings. 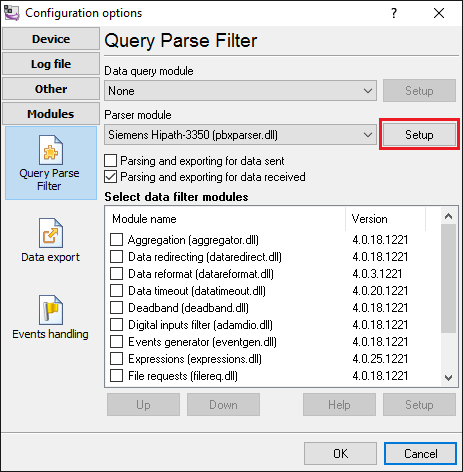 0.0.0.0 means that the program will listen on all available network interfaces. 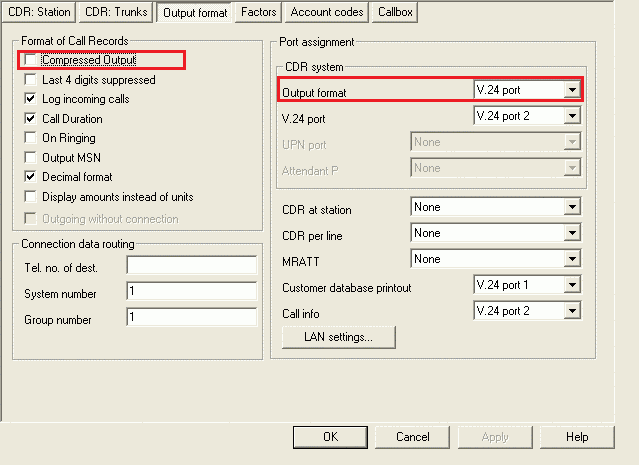 Verify that the date format in the parser and in your PBX are identical.